On Sept. 13, the eve before the release of her new film Mother!, Jennifer Lawrence appeared on the Tonight Show with Jimmy Fallon and said “I’ve gone between not saying anything to just telling everybody everything,” in regards to the film’s cryptic and heavily metaphorical story. The film from Darren Aronofsky features Lawrence as a woman living with her husband in peace before a couple comes to their house and fundamentally changes their lives. Now don’t worry, I won’t spoil any more of the film from here on out as it is something that should absolutely be enjoyed knowing as little of the plot as possible. On Fallon, Lawrence spoiled several key aspects of the film that fundamentally change the perspective through which the film is seen. It is not uncommon for films to be relatively completely spoiled before it has even come to theatres with the bevy of teaser trailers, in depth trailers, and 10 minute previews that arrive in the months (now sometimes years) between a titles announcement and its release. The mystery behind films and general entertainment has largely been cast away in favour of attaining the highest box office by showing viewers what they should expect when they enter the cinema. 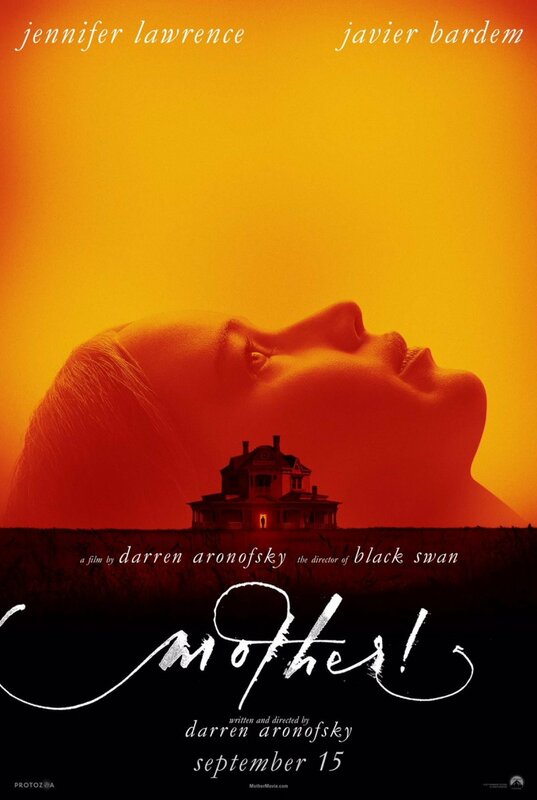 In the case of Mother!, this aspect was handled with a relative sensitivity, as the pre-release material heavily focused on the atmosphere of the feature, rather than any particular plot points. In general that almost seems to have backfired, with a Cinemascore of F and a crushingly low box office pull from this weekend, it seems that audiences didn’t care to see a densely layered mystery-drama over everything else in theatres. Now, this could be due to marketing that was too secretive or perhaps that Lawrence no longer pulls as large an audience as she used to but as it stands the general viewer did not enjoy their experience with this film. However, do not let this deter from the potential of this film. The filmic creativity of this picture shines through the roof when it clicks all together. It is a confusing, energizing and engaging thrill ride of a film that nestles somewhere in between a tense thriller and balls-to-the-wall throw everything out the window rollercoaster that never backs away from going there. The performances of Javier Bardem and the aforementioned Lawrence are nuanced with subtlety as they carry the oddities of the film on their often bare and bloodied backs. On all accounts the film looks to dazzle you up to and including its central thematic mystery that not only remains detrimental to its core but intriguing and well worth not seeing or reading about the film anymore than you already have. So don’t listen to the stars spoiler filled Jimmy Fallon session. Don’t listen to the people outcrying its ‘boring’ pacing. But, do go and see one of the most original, mystifying and thrilling films of the year.